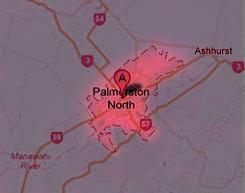 The Christian churches in the below maps are located in and around the city of Palmerston North, Manawatu, New Zealand and are associated with the Palmerston North Christian Leaders Association (PNCLA). The points on the maps show the venues where each church meets for church services. Click on the below map to see a larger detailed map.